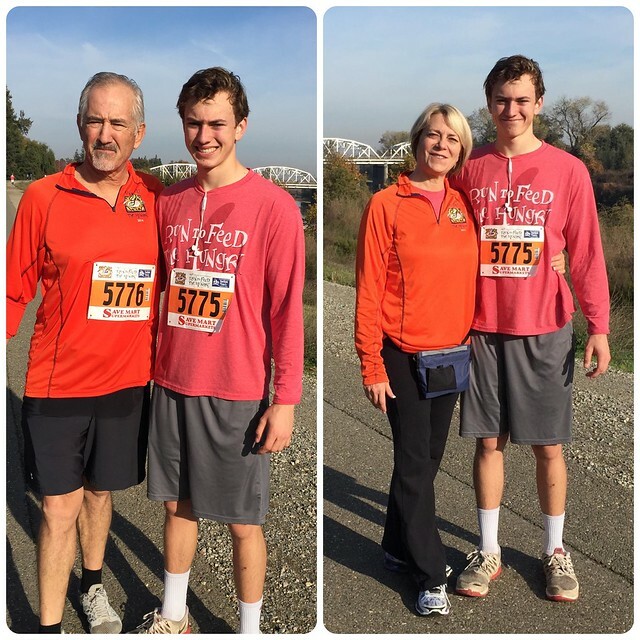 For the tenth time in the last eleven years [2013, 2012, 2011, 2010, 2009, 2008, 2006, 2005 and 2004], Sharon, Jack and I ran the Run to Feed the Hungry. We entered in 2007, but I was feeling under the weather and we decided not to run before heading to San Francisco for Thanksgiving. For the third year in a row, we parked on University Avenue and walked across the Guy West Bridge to the campus. We got to starting line earlier than last year. Sharon, Jack and I were actually together at the start for the first time in a couple of years. I lost track of Jack almost immediately and never saw him again. I was very disappointed in my time this year. My time was 55:49 for an average pace of 8:59. My 5k pace was 8:48. My splits were ugly: 1-8:47; 2-8:39; 3-9:00; 4-9:03; 5-9:11, and; 6-9:03. 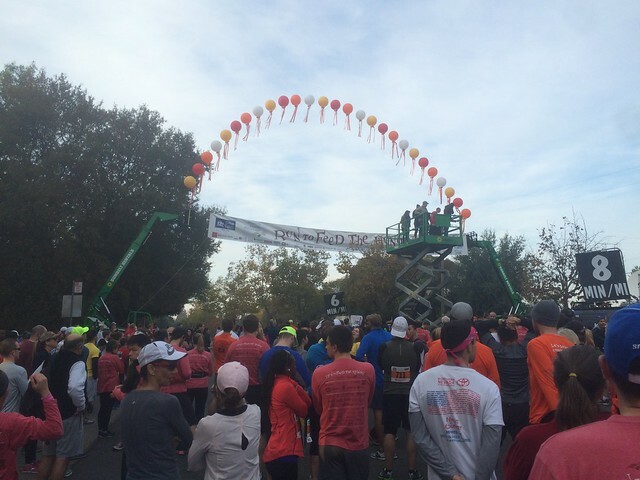 The race seemed more crowded at the start so the first mile was slower. My legs were dead in the second half of the race; I just couldn't carry any speed. In 2013, My time was 52:58 for an average pace of 8:35. My 5k pace was 8:28. My splits were: 1-8:29; 2-8:15; 3-8:35; 4-8:47; 5-8:38, and; 6-8:39. In 2012, I ran a 53:50 for an average pace of 8:40. Jack ran the race in 47:26 for a pace of 7:38. Jack's pace for the first 5k was 7:09. In 2013, Jack ran the race in 47:38 for a pace of 7:40. In 2012, he ran a 50:41 for a pace of 8:10.